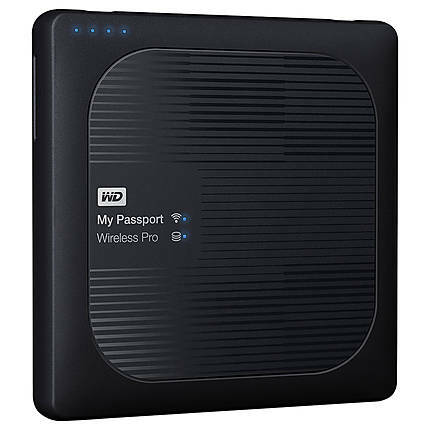 The Western Digital 1TB My Passport Wireless Pro External Hard Drive offers a convenient and fast data backup without any wire clutter. 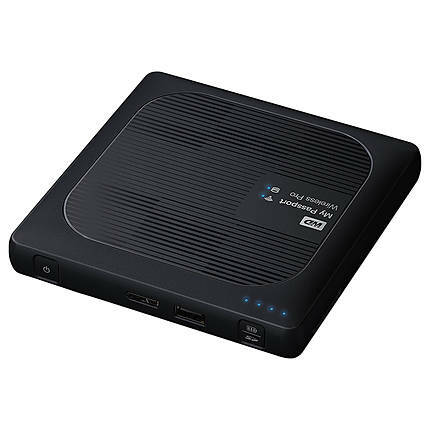 This external hard drive can be used with Windows, Mac OS, iOS, and Android systems. 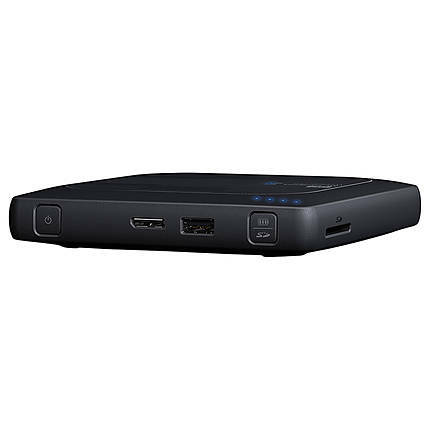 Its 802.11ac Wi-Fi connectivity offers a wireless data transfer rate of up to 433 Mb. 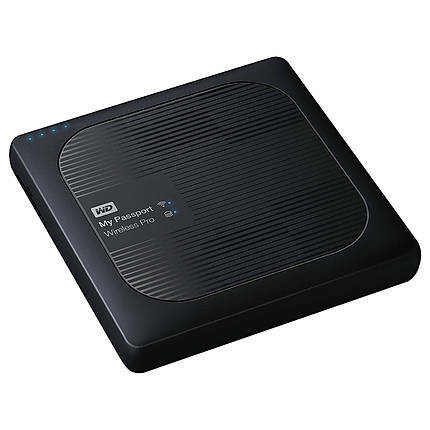 With the USB 3.0 port, the drive transfers data at 800 Mbps. You can use the SD card slot where you get a maximum data transfer speed of 100 Mbps. 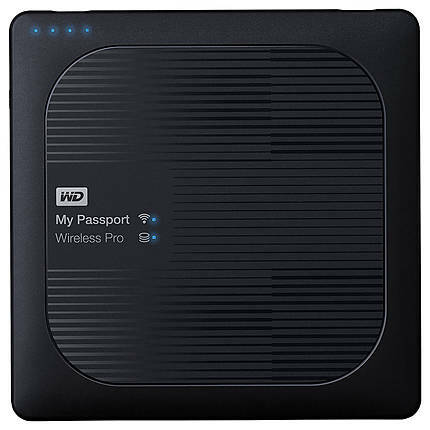 Enable the FTP mode to send images from your Wi-Fi DSLRs to the My Passport Wireless Pro. 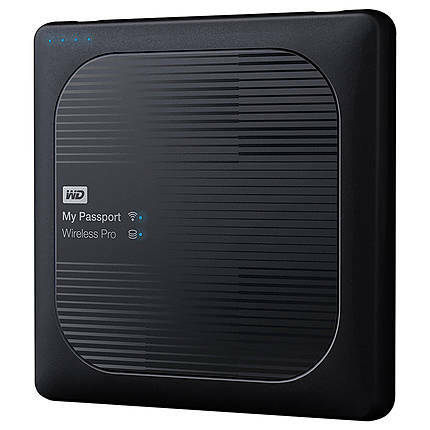 The drive offers Wi-Fi password protection to prevent unauthorized access to your valuable data. 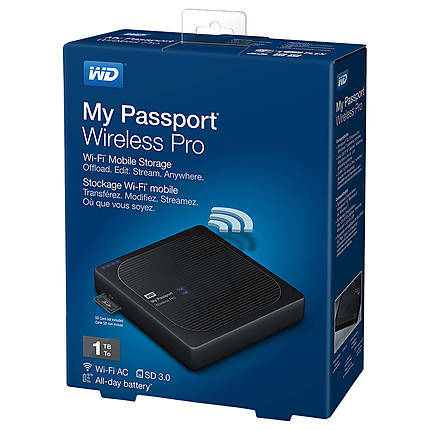 You can also use the My Passport Wireless Pro as Wi-Fi hub and 6400 mAh power bank. To be used efficiently, all computer software needs certain hardware components or other software resources to be present on a computer. These prerequisites are known as (computer) system requirements and are often used as a guideline as opposed to an absolute rule. Most software defines two sets of system requirements: minimum and recommended.